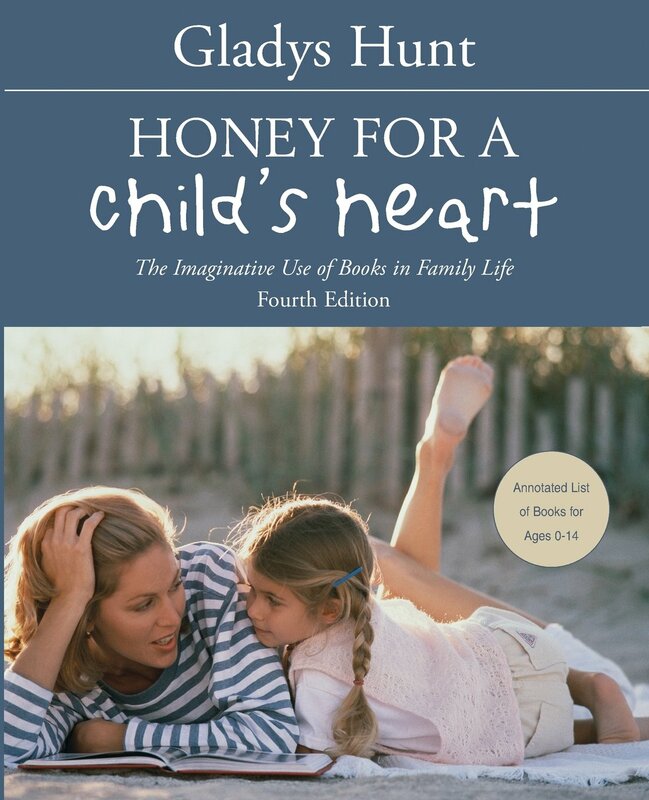 Honey for a Child’s Heart was one of the first books advocating for building a Christian family culture around books. *Honey for a Child’s Heart by Gladys Hunt. Zondervan, 2002. 256 pages. 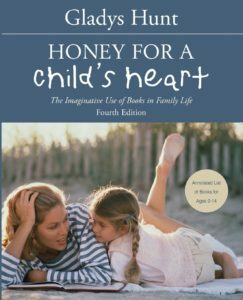 First published in 1969 and in its 4th edition, Honey for a Child’s Heart is a familiar title in the Christian book world. It was groundbreaking in its day, and, while many similar books have followed, this is still the gold standard. Perhaps, though, you have never actually seen this book. Or, perhaps you have this book on your shelves and haven’t actually read the opening essays. Just used the book lists? Read it when you had a baby and toddler, but haven’t looked at it since they started reading chapter books? The first part is a collection of essays centered around using books to help build your family culture, to help your children grow (intellectually and spiritually), and to help make good decisions about what you and your family read. The second part is a nice collection of book lists broken down roughly by age and genre. Do not skip the essays. Any printed volume that provides booklist is, by definition, bound by its own publication date. Therefore, the booklists in this 4th edition include only books that predate 2002; a lot of books–great books!–have been published since then. The essays, though, are truly timeless. Hunt gives practical tips for reading to and with your children. She spends time discussing how to cultivate family Bible reading practice. Essays on fantasy and poetry provide guidance in these two essential, but often misunderstood, genres. The final essay asks an important question: Who is influencing your children? If you find an older copy of this book, buy it. The essays are the important part. Thanks to the internet, it’s easy enough to find reputable book lists, so having the latest edition isn’t crucial. I daresay there is no other title referred to more often in our behind-the-scenes conversations here at Redeemed Reader. It’s the book that, early on, we used a benchmark: we wanted to be a current Honey for a Child’s Heart, in that we wanted to review and recommend new books that have been published since this book. Our vision is broader, yes, but this is a foundational book in many senses of the word. This title is part of our Literary Nightstand series: books that are important tools for analyzing culture (particularly literature) from a Christian perspective.